Dr. Amir Azarpazhooh (Dr. Azar) is a certified dental specialist in two fields of Root Canal Therapy as well as Dental Public Health. 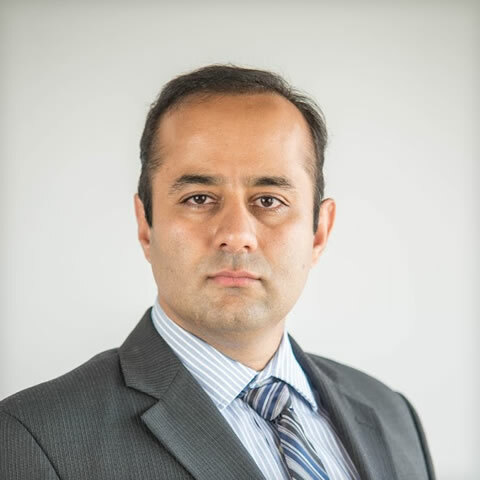 He received his dental degree from Iran in 2001, his specialty training in Canada at the University of Toronto in Dental Public Health (2007) and Endodontics (2010), followed by his PhD (2011). Dr. Azar has great interest in both academic and clinical research. He is an Associate Professor at the University of Toronto, Faculty of Dentistry and Faculty of Medicine. He is also the Head of Endodontics at the Department of Dentistry, Mount Sinai Hospital. Dr. Azar has authored and co-authored over 150 papers and abstracts, 6 book chapters, and has presented at over 50 national and international scientific meetings. A keen practitioner of evidence-based dentistry, Dr. Azar has a passion for collaborative decision making in teaching and in practice. Hence, he approaches patient care with the best interest of the patient in mind. Despite his heavy load of teaching, research and clinical practice, out of the office he enjoys life with his wife, in traveling, cycling, photography, and gardening. We’d love to hear all about your dental experience with our Bayview Village Endodontist Dental Specialist, Dr. Amir Azarpazhooh. Your reviews are highly appreciated! Thank you for your loyalty and trust!